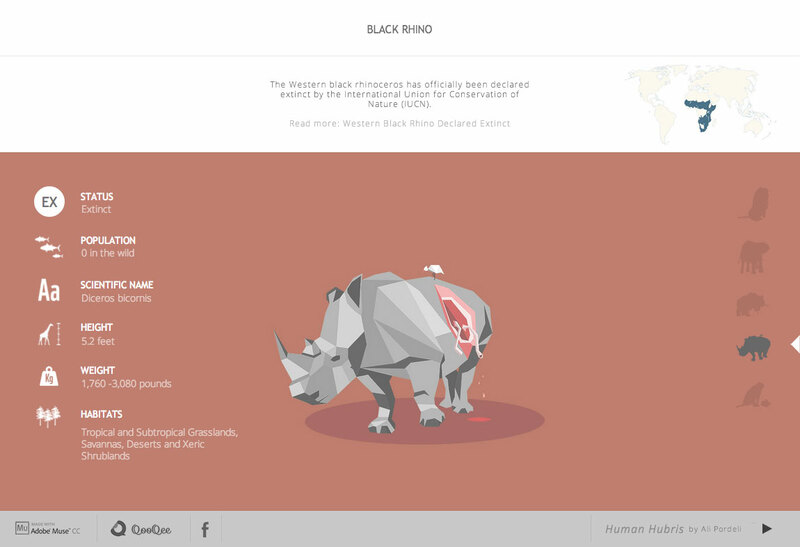 One Page campaign created with Adobe Muse with gory yet beautiful illustrations to bring awareness to animal extinction. Human Hubris - For millions of years, on average, one species became extinct every century. We are now heaving more than a thousand different species of animals off the planet every year.